Your Pastor stands up in front of the congregation each week and shares what’s on his heart. They listen intently. They go home and tune into a TV show that entertains them. They enjoy it intently. Later, they pick up a book and read what interests them. They read intently. It wouldn’t be appropriate or possible to do it any other way. It’s one-sided push communications. Social media and the ability to comment and interact is one of the exceptions. It should be treated like a discussion Bible Study or even a phone call. You pose questions and wait for answers. If you don’t hear anything, you’ve not setup the right conversation. Social Media isn’t just a “push” communication tool. Stop trying to push Bible verses, inspirational quotes, sermon snippets, and informational statements. Yes, you can do them occasionally to inspire your audience, but if people aren’t sharing them or liking them, I’d consider changing your content more. The proof is always in the interaction! They’ll comment, share, and like the content they appreciate. The “share” is the ultimate goal for every post. Try asking questions with the memes or request responses somehow. That’s the power of social. Social Media isn’t just a promotion tool. Social media shouldn’t be known for being a promotional tool like TV isn’t known for only running ads. Both should be known as an entertainment medium. Why? Because of the percentages of content. Like TV, social should have 80% entertainment and less than 20% promotional content. TV, over decades of experimentation, realized that that’s all a viewer can bear. We’d stop enduring TV if our shows were 30% of the content and the commercials were the other 70%. But sadly, that’s what many churches are forcing their congregations to endure on their church social media accounts. 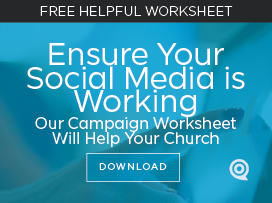 Discover how you can entertain your congregants in your church’s personality. And do it. Social Media isn’t just a personality tool. Yes, social media is a wonderful branding tool. It allows you to share your vision, mission, purposes, culture, and personality. But those should be integrated into ALL of your content. Not as an obvious message but an underlying foundational layer. Entertain using your personality, share faith with your tone, and promote (sparingly) with your branding attached if necessary. A good church brand is identified even if your logo isn’t present. Discover the proper balance between all of these points PLUS add the interactivity and you’ll demonstrate true church engagement. Everywhere we turn, we receive messaging. Let your social media become the platform to state an opinion, share stories, and truly interact with each other. 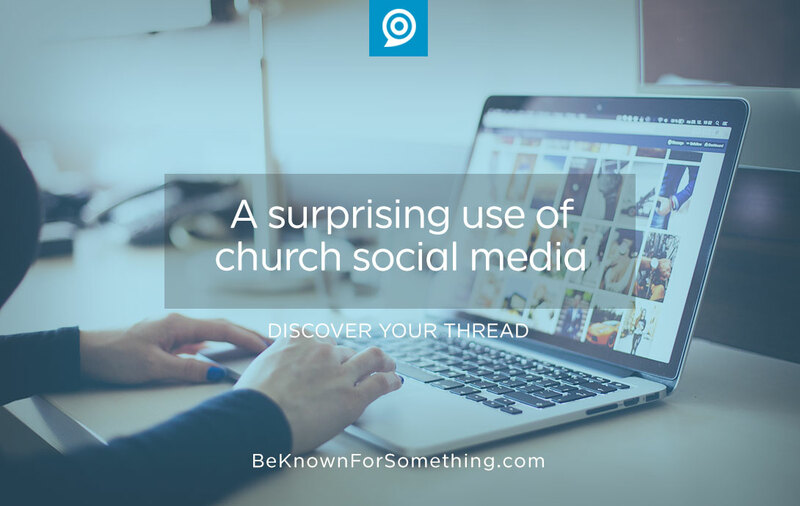 Look around on other social media pages who are getting large shares and comments; learn from them, and do it with your church’s tone. The more we engage, the more they’ll want to be part of our congregation.